Most people become frustrated with their closets here in Miami. Either they're out of storage space or there's never enough time to keep everything clean and tidy. At California Closets of Miami, we thrive on creating beautiful, functional closet organizers that will last a lifetime, no matter how hectic life gets. 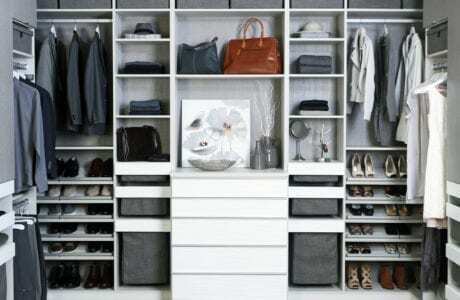 What makes a closet function properly lies in the details. Our closet organizers are a combination of different closet accessories, ranging from hampers and baskets to shoe storage and shelving. Our process begins with a one-on-one consultation with you to discuss your goals, take measurements of your space and take inventory of your style and budget. From there, we guide you through every step of the process to get the closet organizer system you've always wanted. Schedule your complimentary in-home design consultation here in Miami to get started.